EXIT festival is a rock, indie and electronic music event. Now known across Europe, the festival has become famed for its wild, unforgettable parties inside a stunning setting: a fortress overlooking the Danube. 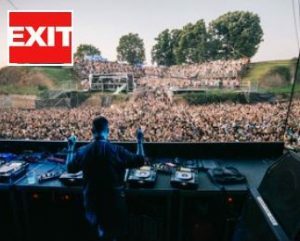 Showcasing a hugely diverse line-up, recent line-ups have featured the likes of The Killers, Hardwell and Jason Derulo, showing exactly why EXIT has become as popular as it has done. Spread across ten stages, there really is something for everyone.